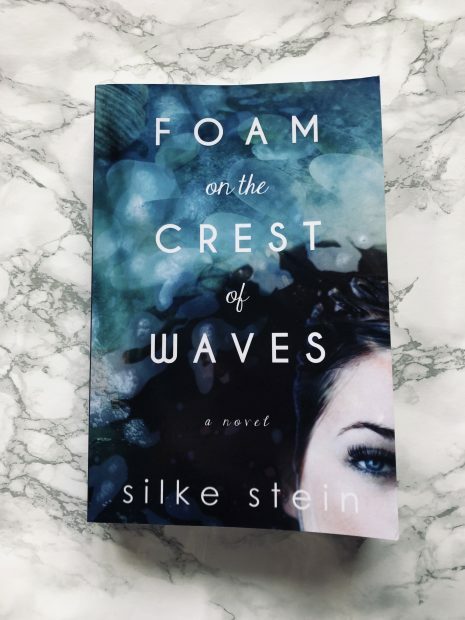 Foam on the Crest of Waves by Silke Stein is different to my usual type of reads and I’m honestly so glad I’ve read this book, because it’s just so beautiful. In a small fishing town on the Mendocino coast, the tides of time have washed over rumours and suspicions, yet the members of a maimed family still struggle to cope with their memories. A broken woman, refusing to let go of her vanished husband. Her widowed brother, clinging to the shatters of the life he loved. His delusional daughter, planning to turn mermaid on her fifteenth birthday. But when a young man realises he made a mistake, secrets start emerging from the deep. Will they bring further grief, or possibly redemption? Every single word in this book had a meaning and purpose; the writing itself was beautiful from the get-go, and from about 4 pages in, I was soaking up and savouring every word. Stein has managed to bring the words to life, imagining the ocean, the feelings and even the architecture. If I didn’t have police sirens reminding me I was in London, I’d feel like I was collecting glass and touching the jewelry alongside the characters. Each chapter takes on a different character and is set by days. Each character’s voice comes through and explains different perspectives of that day’s events. It transitions seamlessly. The chapters are quite short at times, but with good reasoning. It genuinely felt like a hug in a book. I feel like that’s the only way I could really portray my feelings for it. I cried a little at the end, but just because of how it all came together in the perfect way. There are a few soft twists making this a spectacular novel. I am beyond impressed with this book. A perfect holiday read and one for everyone. Foam on the Crest of Waves is making me curious as to why I’ve never picked up a book like this before.